Strawberry Summer is for Young Adults. 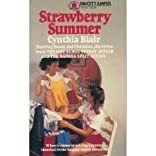 Strawberry Summer was written by Cynthia Blair. Strawberry Summer was published by Fawcett Books. Subjects of Strawberry Summer include Camps, Camps and camping, Children's Books - Young Adult, Children's Books - Young Adult Fiction, Children: Young Adult (Gr. 7-9), Fiction, Juvenile Fiction, Juvenile Fiction / Social Issues / Emotions & Feelings, Juvenile Fiction / Social Situations / Emotions & Feelings, Mystery and detective stories, and Social Issues - Emotions & Feelings.